Few dial colors in the vintage Rolex world send shivers down the spines of collectors the way a blue dial can. They’re among the rarest of the rare, and it’s easy to see why geeks who have one are eager to hold onto them. 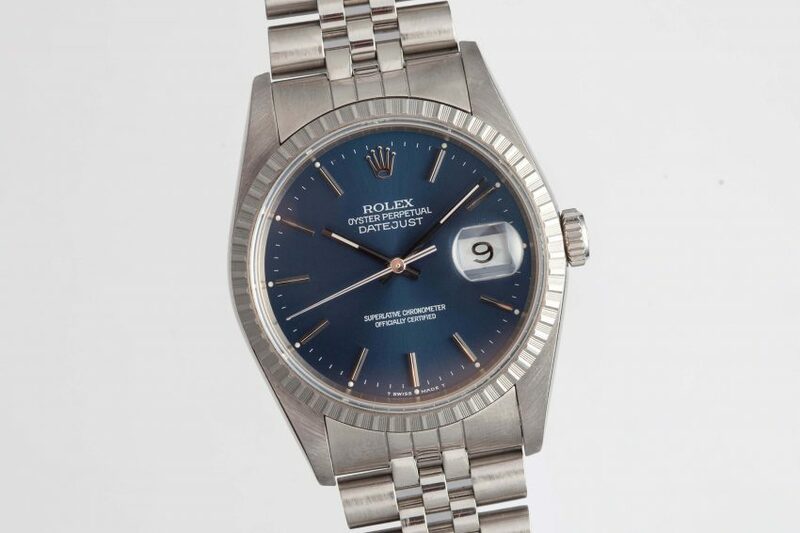 Not entirely sunburst, but not completely matte either, the Rolex blue is something in a league of its own, and this particular example features the added benefit of coming with a gorgeous engine turned bezel to give it a familiar, but not entirely commonplace look. On its original Jubilee bracelet, the watch shines and wraps around the wrist with style.